“The challenge is to think and talk and explain every phrase,” Christian Tetzlaff says of Beethoven’s Violin Concerto. 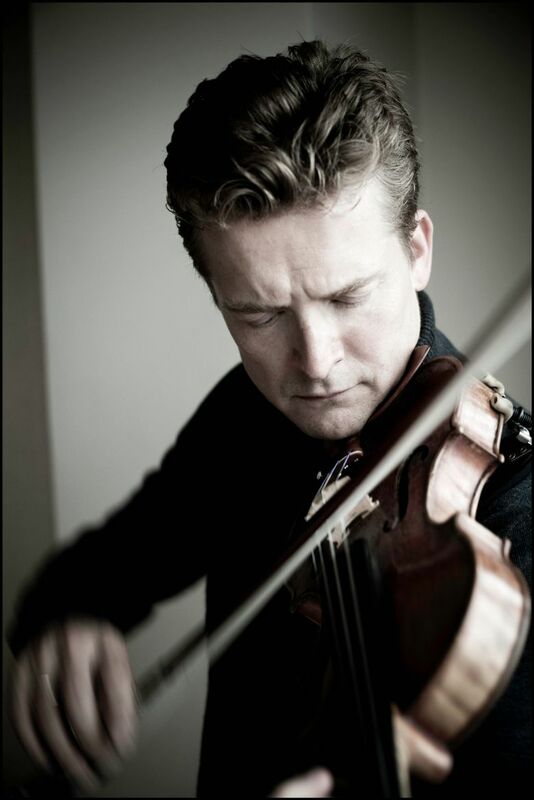 German violinist Christian Tetzlaff is in high demand in Europe for his “wonderful, very articulate and romantic” playing, says Seattle Symphony music director Ludovic Morlot. Tetzlaff will perform Feb. 5, 7 and 8 as a guest of SSO. Doing almost anything several hundred times is bound to get a little mechanical. That could be a problem if one is talking about playing the solo on one of the world’s most famous pieces of music. But that hasn’t happened yet to violinist Christian Tetzlaff. “It’s the easiest thing in the world,” says Tetzlaff of his enduring enthusiasm for performing Beethoven’s Violin Concerto in D major. 7:30 p.m. Thursday, 8 p.m. Saturday and 2 p.m. Sunday (Feb. 5, 7-8) at Benaroya Hall, 200 University St., Seattle; $20-$122 (206-215-4747 or seattlesymphony.org). Note: This Masterworks program offers free tickets to youth 8-18. Two youth tickets are available for every regularly priced adult ticket. Seattle Symphony music director Ludovic Morlot — who collaborated with Tetzlaff a couple of years back at a Mozart festival — is delighted to host the Hamburg-born musician. Though recent years have seen Tetzlaff’s energy directed toward recordings and concerts of Bach, Schumann and Mozart; modern works by György Ligeti and Stuart MacRae; a 2014 release of violin concertos by Shostakovich; and chamber works with his sister, cellist Tanja Tetzlaff, and pianists Leif Ove Andsnes or Lars Vogt (resulting in a 2012 Gramophone Award), Beethoven’s music has remained an essential touchstone. Beethoven wrote the Violin Concerto (the only complete Beethoven concerto of its kind) in 1806. It proved unpopular, and remained so until after the composer’s death. Beethoven wrote an even less-successful transcription of the piece for piano and orchestra, though he did include his own cadenzas this time. (He had not written any for the violin version.) Unlike other virtuoso violinists, Tetzlaff has brought those cadenzas back to the concerto’s roots. “I simply took his piano cadenzas and adapted them to the fiddle. So every harmony, everything is exactly Beethoven. For me, that’s the obvious choice.